IJOY MAXO V12 Tank is a simple version with 0.1ohm V12-C12 coil and 0.2ohm XL-C3 Coil. 5.6ml e-juice capacity and 28mm diameter. 4 colors. IJOY MAXO V12 Tank is a simple version with a 0.1ohm V12-C12 Coil (60-315W) and 0.2ohm XL-C3 Coil (50-180W). 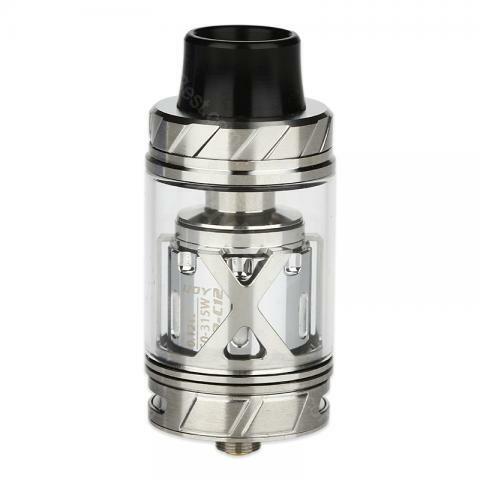 It comes with a 5.6ML juice capacity and 28mm diameter. The MAXO V12 features a delrin wide bore drip tip, intelligent top flip filling system and adjustable airflow control. The V12 is a true cloud killer, fantastic choice for high-powered devices. • It doesn't come with RTA deck. You can buy V12-C12 coil, XL-C3 coil and XL-C4 coil. • You can also buy MAXO V12 SUBOHM&RTA TANK. Nice craft, it steams so well and got some intense clouds. Nothing to complain about. Must-buy product for big cloud lovers. It's a real beast. very cheap and arrived fast with top quality, so good! Gladly again on good evaporator. it took only 1.5 weeks until it came. It turned out fast and the product is awesome.